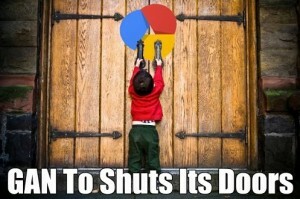 It has been announced that the Google Affiliate Network will cease operations in the coming months, with the search engine giant putting a stop to all publisher relationships with advertisers on the final day of July. The announcement made by J.J Hirschle, Head of the program, (which can be found here) appears to indicate that a lack of impact is the reason for this. Hirschle stated that “we’re constantly evaluating our products to ensure that we’re focused on the services that will have the biggest impact for our advertisers and publishers” and the decision to shut down the network shows that it has not been effective enough, in terms of driving business for their customers. Instead, Google will use the resources to improve CPA orientated tools, such as remarketing, product listings and the conversion optimiser. Emails have already been sent out to publishers and advertisers in the USA and UK, informing them about the closure of the network. A number of competing networks have also jumped in to seize the opportunity and try to win some of the fallout business. The real question is why the program failed, considering the resources that Google injected into it. A reluctance to work with those currently using other affiliate programs, despite permitting this in their terms and conditions, could have driven key advertisers and publishers away. Or perhaps it was the fact that a minimum commitment of 6 months was required, despite the network having had limited proven success in the past. What are your thoughts?